To celebrate their move to closed beta, publisher Trion released a trailer which shows off a large variety of areas and lots and lots of running (and shooting) through them. I can't be the only one who had cs_assault map flashbacks when the area above was shown, right? As could probably be expected from a game using the CryEngine 3, the game looks gorgeous - which is not something one can usually expect of a free-to-play game. We previewed the game a handful of months ago at PAX West, and we appreciated the team roles that appeared to be an integral part of the game. We're certainly looking forward to seeing more as this game progresses through its beta stages. 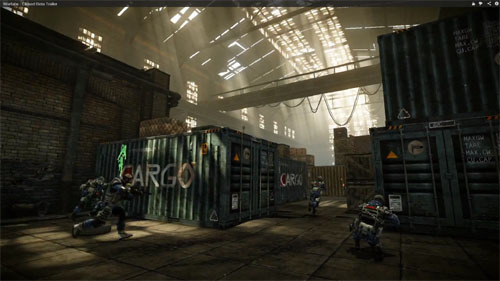 Warface will support 5-player online co-op in its co-op mode. It is currently only on the PC.